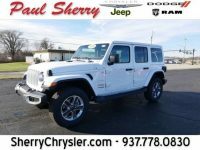 Jeeps are an ideal vehicle for Ohio residents since we experience all four seasons here. 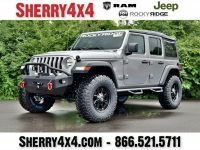 When dealing with hot summers, you can remove the top from your Jeep and get fresh air blowing on you or use the Jeep to get to a remote campsite. During spring showers or fall rains with wet leaves on the road, Jeeps deliver the traction you need to prevent sliding around on the road. In the winter, a Jeep’s traction can conquer the snow and ice without a problem. 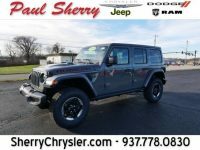 Those interested in a new Jeep to take on Ohio’s varying climate can find plenty of options at Paul Sherry Chrysler Dodge Jeep RAM. 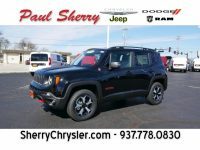 When you browse the selection at Paul Sherry Chrysler, either online or in person, you will notice that we offer the newest models from Jeep, just like with the other automakers we have on the lot. 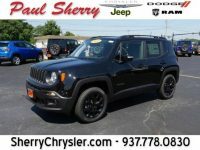 Get your favorite trim of the Jeep Cherokee, Renegade, Compass, Wrangler, or Wrangler Unlimited. 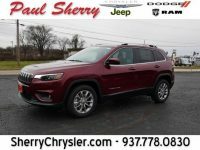 We even already have some 2019 models on our lot, such as the 2019 Jeep Cherokee. 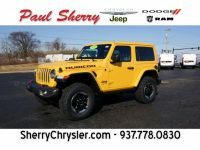 At any given moment, we will have dozens of new Jeeps for sale on our lot, letting you choose your ideal model so you can get the size you need, then customize it with the trim, color, options, drivetrain, and more. 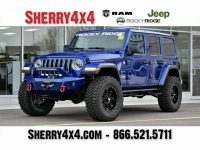 Those who want something special will even find many new Jeeps that have been converted by Rocky Ridge to deliver a lifted suspension that is perfect for off-roading and that add a heavy dose of style. 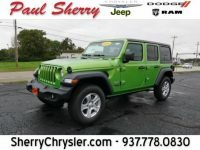 With such a wide range of new Jeeps, we have an option for everyone, regardless of budget or planned use. 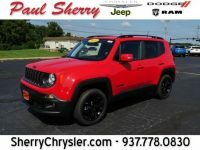 Get a family-friendly Jeep, one for off-roading, or one that just gives you confidence on your daily drives regardless of weather conditions. 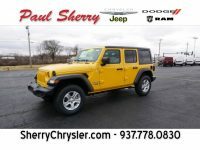 Once you are ready to check out our selection of new Jeeps in person, visit our Paul Sherry Chrysler Dodge Jeep RAM dealership in Piqua, Ohio. Our address is 8645 North County Road 25A. It is incredibly easy to find us, especially if you are coming from I-75. Just take Exit 83 to the west, and it will take you to North County Road 25A. In a few minutes, you will spot our dealership and will be ready to browse our inventory in person. 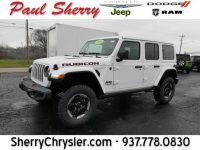 Our sales team will show you the various Jeeps we have on the lot and listen to your requirements to help you choose which one will be right for you.